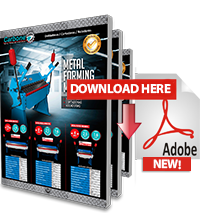 Carbone Panamá introduces to its line of metal forming machines a variety of hydraulic sheet bending machines with a wide range of widths for rolling steel sheets from 6 to 12 feet wide. With a fixed upper roller and a manually adjustable lower roller to an up or down position and adjustable side roller is. Easy to operate, small frame with big engine. This machine can pre-roll and the bearing type makes it suitable to roll thin steel sheets. 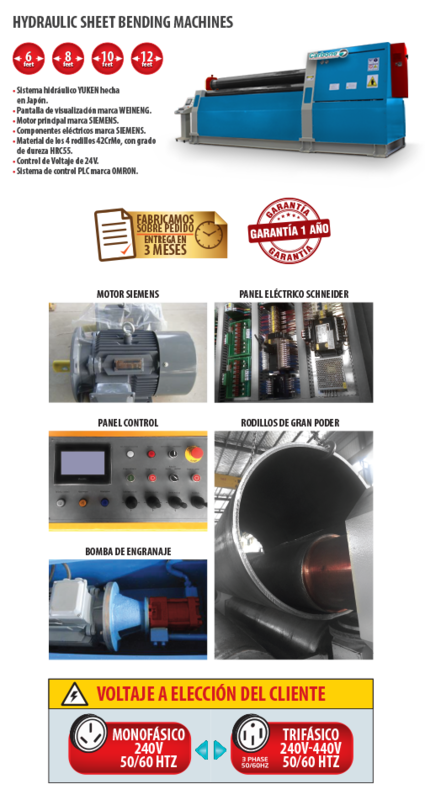 Control system through gear management system by an upper and a lower roller. E21 ESTUN control system with 42CrMo material rollers with hardness grade HRC55-58.